Fantastic - a multi-layered mystery thriller! When President Clay Dixon's father-in-law - a former vice president - is injured in a farming accident, First Lady Kate Dixon returns to Minnesota to be at his side. Assigned to protect her, Secret Service agent Bo Thorsen soon falls under Kate's spell. He also suspects the accident is part of a trap set for Kate by David Moses, an escaped mental patient who once loved her. What Bo and Moses don't realize is that they're caught in a web of deadly intrigue spun by a seemingly insignificant bureaucratic department within the federal government. Racing to find answers before an assassin's bullet can kill Kate, Bo soon learns that when you lie down with the devil, there's hell to pay. You never an figure out how the tides will turn next. Really kept me interested. Very enjoyable, but I must admit the first couple of chapters nearly turned me off. The rest of the book was not nearly as twisted and the reason for those chapters became evident. Krueger should stick with Cork.. The Cork O'Connor series have given me some great listening hours and good stories. The brisk, matter-of-fact way of writing, and the dialogue straight from the cuff worked well with the country sheriff idea. Here - not so much. Well, I should say not so much of it. The story just didn't grip me, and seemed to draw out slowly. Can't say I'm impressed, nor that I really cared for the effort over-all. “It was a city built on promise, on compromise, on inspiration and empty rhetoric both, on history poorly remembered and easily bent, and once in a while, on good people with the best of intentions who battled against the distrust, misdirection, and deceit that was politics as usual,” so ruminates US Secret Service Agent Bo Thorsen about the city of Washington, DC. His service has taken him around the nation, but his current home base is St. Paul, Minnesota. 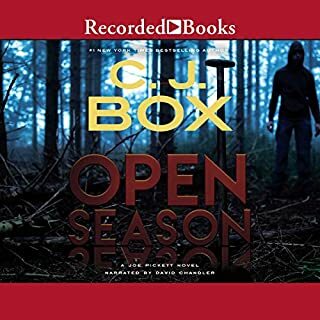 It is here that he grew up in a troubled and broken home, eventually finding his way into the criminal justice system as a juvenile in front of Judge Annie Jorgenson. 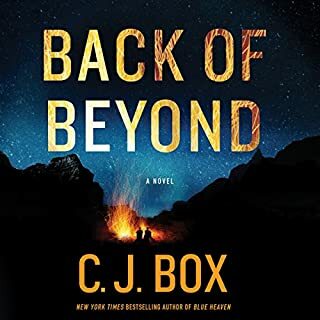 Years later Bo finds himself in her presence again, this time as a special agent securing the home where she lives with her brother, former Vice President Tom Jorgensen. 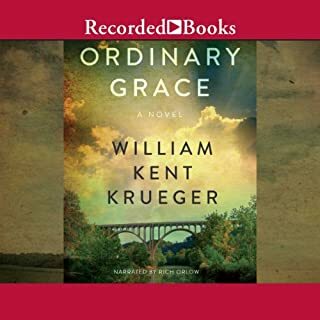 When Tom Jorgensen is found unconscious in his apple orchard, First Lady Kathleen Jorgensen Dixon returns to Wildwood to be with her father. The protective duties of the Secret Service do not cover the former Vice President, but they are required when a member of the first family visits. Therefore, not only does the First Lady bring members of the Secret Service with her when she arrives, but local agents join the forces protecting her and Wildwood while she stays there. So it is not unusual that ex-VP Tom Jorgensen would not be covered by agents while hospitalized. When Bo starts to put together pieces that question whether his injuries were sustained in an accident, he stirs up already taut emotions. Then a hospital security guard is found dead. The evidence now proves too strong to ignore, and agents are posted to protect Jorgensen. The motives for the attack by the man with a dark and troubled childhood appear simple, but are they really? Because of his excellence in protecting those in Minnesota, President Clay Dixon calls Bo to the White House. 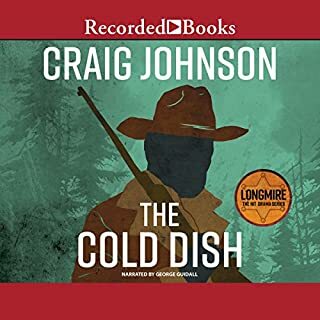 One of Clay’s closest advisors is dead, and he has suspicions that cannot be dealt with through normal channels, in large part because he wants to escape the influence of his father, Senator William Dixon. In his eighth term, Senator Dixon yields enormous power. As Bo continues to find ties that take him back to the senior Dixon, we are brought to the question of whose authority is greater. 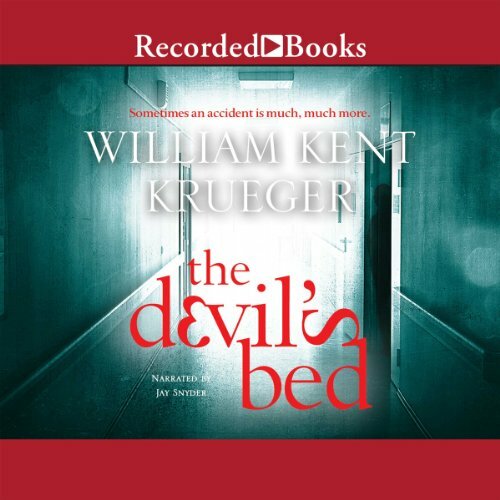 Krueger has taken a large cast of characters and turned their interactions with each other into a spellbinding thriller. He has a way of sharing personal details about each one that help keep each individual distinct from another and yet revealing how they are all intertwined. The relationships are illuminated one by one until there is a very tangled ball of intrigue. Krueger also plays fair with the reader. Seemingly innocent clues are placed throughout that later prove to be crucial to the storyline. Multiple narratives occur simultaneously and later converge with alarming clarity. Krueger has brilliantly taken something complex and broken it down into seemingly simple parts of the whole. It is how these parts mingle and twist and turn back on each other that fascinated me. The inter-relationships between people is what drives this story, although it certainly does not lack action to steer the way. 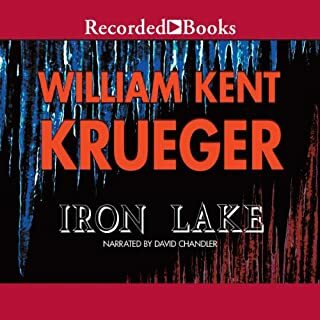 William Kent Krueger is also the author of the Cork O’Connor mysteries that take place in Minnesota. 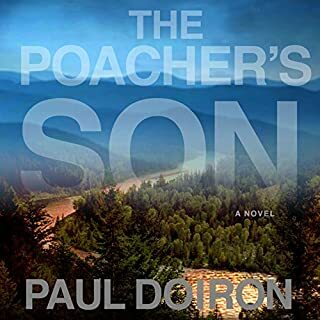 On the surface, I would say that location is the only similarity between the O’Connor series and THE DEVIL’S BED, but each deal with men trying to find their way in the world, trying to find their role in the bigger picture. Ultimately we learn that one of the rules young Bo learned still holds true: “Life isn’t fair. But some people are. Be one of them.” It’s nice to know that Bo is one of them. Enjoyed it! Kent is a great author. I never knew this book was out there, pleasantly surprised to find another book from this author. Also, very good narrator! I enjoyed the twists and turns. Just a good read for a cold winter night.